On May 14, Colorado Association of Funders convened local funders to discuss the upcoming census and philanthropy’s role in promoting a fair and accurate count. Four speakers shared what’s at stake nationally and in Colorado–touching on implications for both rural and urban areas—and offered resources and suggestions for attendees looking to get involved. Lowenthal listed factors such as insufficient and delayed annual funding, canceled tests and scaled-back dry runs, cyber-security threats, and untested questions, all of which put a fair and accurate 2020 census at risk. Patrick Potyondy is a Legislative Policy Specialist at the National Conference of State Legislatures, which provides non-partisan research and analysis to legislators and legislative staff. Potyondy provided additional figures to demonstrate the financial implications of an undercount. In financial year 2015, a 1% undercount from the 2010 Census resulted in $63 million in lost funds to five Federal Medical Assistance Percentage programs (Medicaid, the Children’s Health Insurance Program, Title IV-E Foster Care, Title IV-E Adoption Assistance, and the Child Care and Development Fund). That’s at least $1,262 in lost funding per person. As the executive director of Together We Count, Rosemary Rodriguez forecasts participatory challenges for the 2020 census to make recommendations to stakeholders. Rodriguez commented on the climate of fear produced by the addition of the citizenship question, noting the Census Bureau’s own panel of experts recommended against including it. She identified where hard to count groups are located in Colorado, based on 2014 Census Track Data. “Without education, without outreach, and without thoughtful consideration, we’re going to miss a huge percentage of population,” Rodriguez said. She also noted that access to broadband will be an issue, since for the first time, the census will be primarily internet-based. Investing in the census is “smart money,” said Osborn. By promoting an accurate census count, philanthropy can help ensure a fair distribution of federal funds. She reminded attendees of the statistic Potyondy shared. “Do you have $1,200 to make up for every miscount?” she asked. The Colorado Aging Dialogue Group is an informal group of grantmakers and key community and government funding agencies that address aging issues. CAF Members are invited to join the next breakfast meeting of the Colorado Aging Dialogue Group scheduled for Friday, June 8, 2018 from 9:00 a.m. to 11:30 a.m. The meeting will highlight Changing the Narrative, Colorado’s awareness campaign designed to increase understanding of ageism and shift how Coloradans think about aging. NextFifty Initiative and Rose Community Foundation will share their local communication campaigns using tested FrameWork’s tools and messaging. There will also be “round the room updates” at 10:15. Hosted by Art & Science of Health Promotion Institute and Center for Human Nutrition at University of Colorado, this forum will describe an approach to provide access to comprehensive health promotion programs to all Coloradans with minimal to no funding from local, state and federal governments. The Forum will take place on May 30 from 2:30 p.m. – 4:00 p.m. at Anschutz Medical Campus. Click here for more information and to register. Institutions across the country – including local and state governments, businesses, nonprofits and foundations – routinely rely on data from the census to allocate funding, define where services are delivered and promote economic development. Learn about the upcoming census and philanthropy’s role in promoting a fair and accurate count. Click here to read more, see a full list of speakers, and RSVP. At the annual luncheon, nearly 3,000 guests will come together to build opportunities and dismantle barriers for women and their families. What We’re Reading: Foundation Impact Investing Is Gaining Steam. But Can Proponents Answer These Four Questions? Comments : Comments Off on What We’re Reading: Foundation Impact Investing Is Gaining Steam. But Can Proponents Answer These Four Questions? I’ve long been a fan of more impact investing by foundations. It’s always struck me as nuts that these institutions use only their pinkies to advance their missions, keeping the vast majority of endowment capital—the “other 95 percent”—off to the side, invested in whatever the bean counters say will yield the best returns. Foundation leaders never tire of stressing how paltry their grantmaking budgets are relative to society’s problems, and they’re exactly right. So it’s been exciting to watch more of these leaders break the glass to get at the real money. Still, even as I’m inclined to cheer NCF’s big move, I have a few questions about impact investing by foundations. Click here to read the article and see Callahan’s questions. Colorado Association of Funders is excited to welcome two new members to our network of 80+ funders. The Edmund T. and Eleanor Quick Foundation is a private foundation created by Mary Eleanor Quick in honor of her husband, Edmund T. Quick. The foundation makes grants in rural Colorado and along the Front Range. Its target areas are basic needs organizations, youth programs, religious organizations, domestic violence programs, historic preservation, early childhood, women oriented programs, animal shelters, and veterans programs. 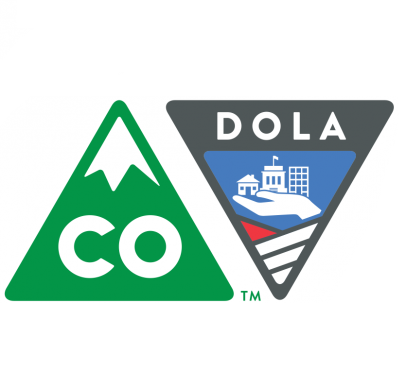 Department of Local Affairs (DOLA) works in partnership with local governments and communities statewide to provide funding for projects and disaster recovery relief. DOLA provides state and federal funding to private housing developers, housing authorities, and local governments to increase the inventory of affordable housing. In addition, DOLA provides expertise through technical assistance programs to help with community planning, property taxation, and tax appeals. To elevate the well-being of Coloradans by improving oral health equity. Click here to learn more about how Delta Dental of Colorado Foundation is expanding its focus.